Skosh is a four piece, funk/classic rock/blues band from Buckfield, Maine, a mere half hour away from Bates. The members of the band are: Jedidiah Allen on drums and vocals, Elijah Allen on bass and percussions, Jay Larkin on vocals and guitar, and Peter Richard on the saxophone. Together, they work to create smooth, well-executed performances in the Portland area. The band’s Facebook page boasts a large 5,000 followers and likes since their start in March 2008, and they state their interests as “playing live music wherever, whenever, for people who like to party!” This, my friends, is an interest many college students can stand behind. Skosh’s music is what I consider to be a mix of rock, funk and country. They brought together a multitude of instruments, and I felt like I was listening to Phish’s crunchy, younger brother. My personal favorites from the album are “Angels in the Bathtub” and “Cleopatra Stardust.” “Angels in the Bathtub” is a lighthearted, sunny song about love and life. It’s easy to dance to, comforting like a cozy sweater, and reminds me a lot of Dave Matthews Band. In fact, the main vocalist in the song does sound a lot like Dave Matthews! What’s not to love? “Cleopatra Stardust” is a little more upbeat with a windows-down-in-the-car vibe. A fast beat paired with a fun jazz lineup creates a song that just makes you smile. I listened to it the other morning before heading to class and I had a pep in my step all the way there. Overall, Shaking the Ghost is a funky folk album with hints of jazz. No two songs are the same, and there’s a nice mix of upbeat, lighthearted to low, relaxed songs. Songs like “Untitled” have stronger hints of upbeat jazz than others, but in general the album is different than any music I have heard in a while. Skosh surprised me with how much I enjoyed listening to them! I was excited to hear a local band because I had been looking for a band that I could see perform live nearby. Skosh did not disappoint! I am looking forward to future releases from them. The band is refreshing and lighthearted; their music is quirky and you can tell the performers are incredibly talented. I would highly recommend listening to “Shaking the Ghost” on Spotify or attending their upcoming performance, “Who’s Bad?” a Michael Jackson cover show in Portland on April 5th. Bates College prides itself on its slew of amazing clubs and organizations. Offering everything from the Outing Club to the Chess Club, the college fosters an inclusive environment for people looking to get more involved in their community. 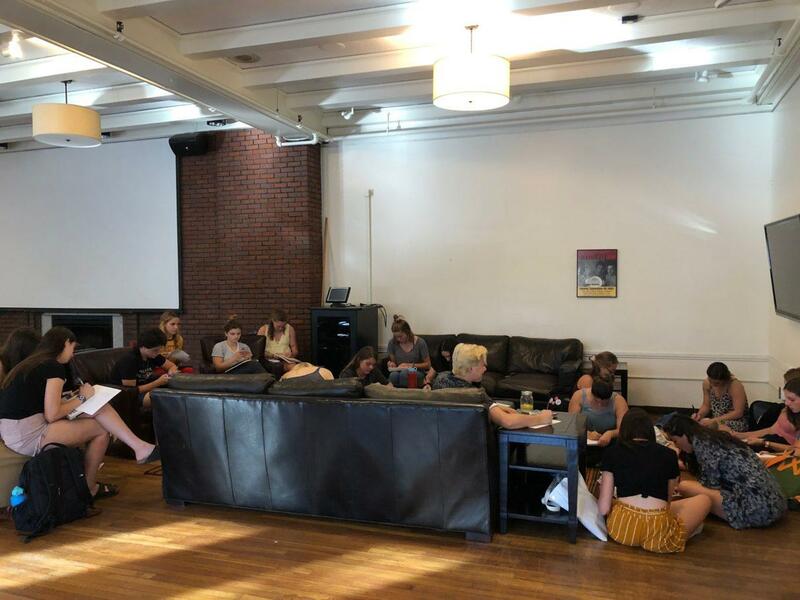 A recent addition to Bates’ lengthy list of clubs and organizations is Planned Parenthood Generation Action.